Today, myself and many other Londoners woke ourselves up at ungodly hours of our precious Saturday mornings to travel to West London as the Kardashian sisters were going to be there for their launch of the Kardashian Kollection in Dorothy Perkins shops nationwide. 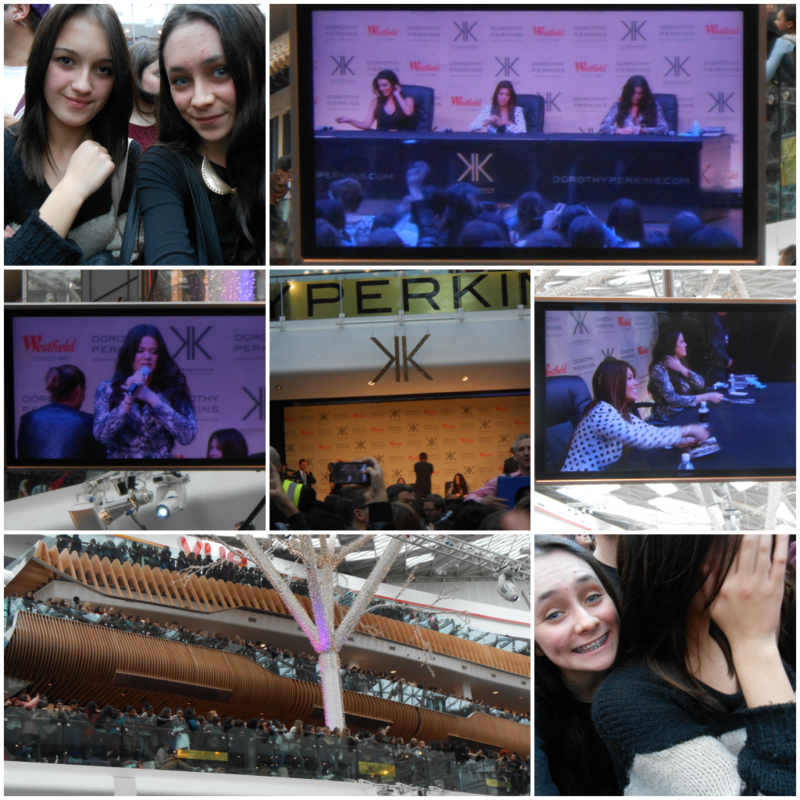 Now I won't delve into how much I dislike Westfields organisation / dealing with large masses of people but let's just say a good six or so hours were spent standing in claustrophobic areas (of which two and a half were in the eight degree cold) with increasingly irritated fans; however seeing them was immense. 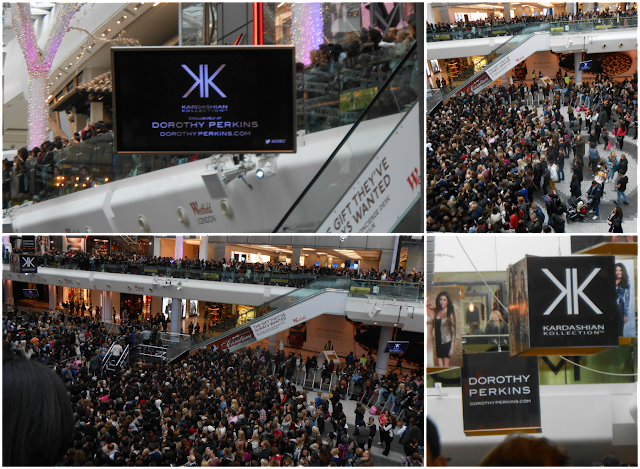 Westfields was absolutely wild, with thousands and thousands turning up to see the famous trio arrive. I met a lovely group of girls who had not only travelled from Cardiff (!) they were forced to pull an all-nighter and spend five hours in the cold. They (like myself and my friend Victoria) never got the chance to physically meet the Kardashians, despite queuing and all of that jazz. However - grudges aside, the girls were are so gorgeous in real life, as it was Khloe's first time in London the crowd chanted for her crazily and no, I could sense no sibling jealousy. Well, maybe a bit. Did any of you try bearing the crowds today for the sisters? p.s - I saw this article on Daily Mail online (secret obsession, shhh don't tell) and it really goes into the details about today, as well as having better quality photos etc if you want to check them out!